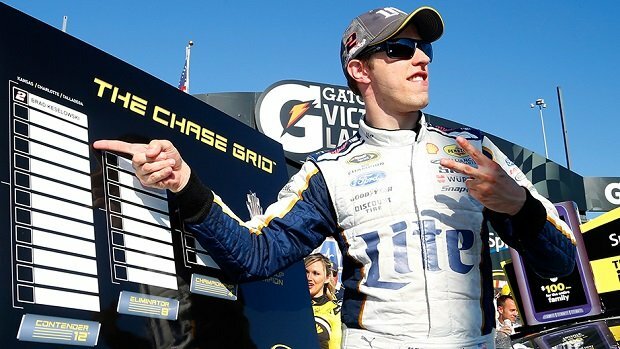 With a daring drive through the middle, Brad Keselowski showed how badly he wants to win another championship. As Larson and Harvick staged a hold-your-breath, side-by-side race for the lead following a restart with 19 laps remaining, Keselowski charged through the middle to grab control of the race. “You want to get the win. It was tough out there because I’ve been here before running up front, having a really good start to the Chase, then have had problems, and then having to claw our way from there,” Gordon said. Newman, Allmendinger, Almirola and Greg Biffle each had disappointing runs and must rebound next week at New Hampshrie Motor Speedway.